I am so glad that we have someone who will stand up in Congress and tell them what the Baby Boomers will have ahead of them. My mother has Alzheimers, when she first got it their was no one up to bat for these people who have lost themselves to this terrible diease. My father is a hero for taking care of her. It too had taken a toll on him. He lost his whole world, but never lost his love for my mother. I can't thank Glen Cambell to help the people that are suffering, the person with Alzheimers, spouses and children. This is a horrible diease which I hope they find a cure very soon, this county is going to need it. Thank you Glen Cambell my hat is off to you. I hope pray that a cure for Alzheimer's Disease will become a reality soon. My father died in 2001, at age 90, after being diagnosed in 1987. It was a long struggle for us, his family, as well as for him. Thank you, Glen Campbell for promoting ore awareness of the new facts released concerning that unrelenting disease. I have ALZ for 4 years now, and I am 55 yrs old. I don't like it, but do what I can for animals, and the environment; plus it gets me some exercize as well. I was diagnosed in January and I will be fifty in October. Hello Jan, My husband is 55 yrs old and has severe ALZ, he can no longer write, nor read. You are doing great by just being able to write and care for animals. I truly believe every case is different. My husband needs 24/7 care. Thank you Mr. Campbell for continuing to share you talent as well as sharing how Alzheimers is a struggle for the one who has it and their family , friends and caretakers. From watching how my husband responds to music programs – he is the happpiest when singing, tapping his feet, swaying to the music. It is wonderful to see you out there doing what you love!! Thank You so very much for helping with the awareness of this disease! I think Glen Campbell would be a wonderful Ambassador for the Alzheimers cause. He's a class act, a great singer, and would be a great poster/ personality to help the Alzheimers cause.____I,m retired, and have Alzheimers. I'd like to help the cause if I can… John E Johnson, Las Vegas NV. Kudos to Glen Campbell's family…Glen is very fortunate to have a strong network of people who love and care for him. Glen's progression is much like my father's and I am thankful he is working on raising awareness!!! He continues to be an amazing man! Alheimers disease is an exercise in discouragement and pain as well as in tiny victories. When you get them, it is a breakthrough. Mr. Campbell's courage is alone, a thing of wonder and to be celebrated. I hope we can all remember that as we watch our loved ones in decline. They deserve encouragement, patience and love. Nothing but. PS- I'm flying across the country to see his last performance. Even if he can't remember a song, it will be a triumph. Get it? My Husband and I were fortunate to See and Hear Glen Campbell three blessed times on this Tour. We were so happy to meet him Backstage and he was so kind and made a wonderful impression on us both. Glen is the reason that my Husband picked up a Guitar as a Child watching the "Good Time Hour" with His Father. We All Love You Glen and Your Beautiful Family!!!! Hate this for anyone to have to suffer with this disease. My Grand Mother passed from it as Well, now her daughter has it also. I’ve lost my Mom and Aunt from Cancer and seen others pass, and the ONLY good thing I can see in Alzheimer’s is that since your memories gone and you live in the past, then you never really know when you pass. My Mother and Aunt anguished in severe pain and knew their own demise as Alzheimer’s patients do not. But that in NO WAY is saying that this disease isn’t vicious because definitely it is. But So very sorry anyone should have to suffer from any of these horrible diseases. Hooray for Glen for going public in such a productive way. Has a video been made of this special performance that we can send for? Your music is a balm to the soul. In times of confusion and anxiousness, music quiets me so that I can hear the voice of my Lord speaking to me. I have been slowly making a difference for this cause and starting to get some momentum with the help of people like you. Please add it to your face book, websites and twitter. It would be wonderful to finally find a cure for this disease, my mother and father both in their late lives were affected by this disease, father was the worst and had it much longer then my mother. So the association asked me who was going to take care of me as in my 70s now and since it is kind of a pass along disease I guess I stand a good chance of being affected. Both of my parents care givers, (nursing homes with the expertise to care for patients with dementia) were fantastic and I take my hat off to them as well as everyone doing whatever they can to come up with a cure. There came a time we had to put my parents under professional care but prior to that the effect on my family was heart rendering. Glen Campbell you are a jewel and God Bless you and yours. You can't print the name I call this insidious disease! I know of people (Alan Jackson) that have been helped by Glen Campbell and he is still helping people. Thank you Glen Campbell. I am 48 years old and I have been diagnosed as having early onset of Alzheimer’s. I want to thank Mr. Campbell for having the courage to go public with his diagnosis. He gave me the courage to accept my situation and make the best of my life. So glad that this will help bring more attention to a disease that is so horrible. Thanks to the Campbell family, more people may better realize the effects on the loved ones. Hey Kim Cal and Ashley! Great news on you quest to create more awareness for AD with your dad! I am currently shooting a documentary on AD myself and would love to shoot your family! I started already shooting my dad who has been diagnosed with AD a couple of years now! I'm in NY now but you can reach me through my email to talk further about this! Hope all else is great! Having just lost my Precious Momma to this devastating disease, I have an idea of what the Campbell's are going through on a daily basis. Kudos for them on their walk…it's not an easy one! ~ It's heart wrenching to read the comments of the "young" ones who have been recently diagnosed with Alzheimer's Disease. So sad! ~ IF I am ever diagnosed, well, let me be a human guinea pig for the drugs that may eventually "stay" or control this dastardly disease. Peace & Love to All, especially those who are dealing with Alzheimer's Disease, in one way or another. I am so happy Glen Campbell, stood up for us , My husband has it his mother passed with it, I was caregiver and am to my husband, we can't go on vacations, that is involved in driving, I have minor health issues. It would be easy to be in a pity party, but that gets no where. Pray Pray pray. THANK YOU for bring attention to this gut wrenching disease . Our mother has been struggling with this disease since 2006. Every day it takes and takes from her. She no longer talks, feeds herself or can do any personnel cares for herself. She is no longer able to walk or bear weight.My only hope is that she feels and knows that we love her. Our father has died a slow death just being with her also.He has also gone down hill with her. Please find a cure for this terrible disease. It has taken all of us down. Both my wife an I are 86 years old and just celebrated our 68 year of our marriage and loving each other like the day we married May of 1944. She has ALZ. Although it is taking it's toll on her she listens daily to country music, and to Glenn Cambell. It is with out a doubt a unkind disease. Glenn you will be in our prayers. God bless all of those that are suffering from this night mare. Keep up the good fight. My wife is…. thank God. My Father died two years ago this month. He had Alzheimer disease among other disorders. I'm glad that Glen Campbell and his family are facing this terrible disease head on. Alzheimer disease is terrible, because it makes people that have been so responsible and productive all their lives and makes them so dependent and almost helpless ultimately. I hope that the public will realize the seriousness of this disorder and rally around our representatives, senators etc to make getting this issue much more at the forefront so there will be monies for research etc. Ambassador for ALZ. He introduced his family, as they were performing with him then.also. 2010 was b/4 this Farewell Tour was cifirmed in our Newspapers. It will be a great day when there is finally a cure for Alzheimers. My father had a 'double whammy' with Parkinson's and Alzheimers. I believe that the symptoms of the Parkinsons may well have delayed the actual diagnosis of Alzheimers, as it seemed to be a long time before the doctors could make up their minds as to what his condition(s) really was. It does affect the family as well. We were fortunate, my mother was able to get some help, but it still took quite a toll on her. I deeply admire the bravery of Glen Campbell and his family. May God bless all of them!! I have taken care of a man for the past 4 years that has Alzheimer's. He is 86 years old. My Momma & Granny helped me on the weekends. About a year ago the unthinkable happened my Grand-Mother was diagnosed with Dementia. Unreal is all I could think. So now my Momma is taking care of her full time. Mom and Granny have lived together for many years. But this is very hard on Momma. She never complains but you can see how tired she is sometimes. It's awesome that Glen Campbell is so kind to share this with all of us. You will never know how much you are helping someone that is reading this blog!! But trust me when Alzheimer's &/or Dementia hits a family it shatters dreams, hopes well really your life. Nothing is never the same again. So if you know anyone that this disease has hit there family just offer help. They probably want take any help but just knowing your not alone is great. My mother died with aiz. In 2009 she was 78 yrs old. It is a alfull disease. She got bad riden.and didn't know her children, or husband. We took care of her at home. This is the sads thing in the world. To watch your mama go thur this. And u can't cure her. And her baby sister died in 2012 , with it to she was 77 yrs old. All you can do is pray, and take great care of them. And show thim all the love you have for them.i,m having a hard time still losing my mama she was the best. I loved her dearly. God Bless you, dear Wichita Lineman. And my longtime best friend Kitty, now in her late 80's has lost nearly all memory of our friendship, and her life prior to Alzheimer's. I have elected myself "archivist" and memory keeper. And every day, I recall an incident where we laughed together, had a nice chat, or maybe even just spent an afternoon, walking around our neighborhood, taking care of the small chores. Cherish the memories, everyone. And love your loved ones, and remember FOR them..every time the chance arises. It is a blessing for you all, as you face down this challenge with courage and kindness. Music is therapy. I'm a cancer survivor who's been lucky enough to have an amazing music therapist, and I'm trying to get one for (my) Mom, who's fighting Alz. My Grandmother (my mother's mother) died at age 67 (fairly young) of Alz, my mother is 80 and has Alz and I am her caregiver. I am 60 and 5 yrs ago in 2007 I was diagnosed as being in the early stage of Alz. Sort of like the blind leading the blind, however, my mother's is much more advanced than mine, however, I feel the symptoms and the progression of the disease on a daily basis and it's a confusing disease. My heart goes out to all who have been diagnosed or is suffering from Alz but especially the family…the loved one with the disease ultimately becomes unaware of their suffering but the family is always aware and truly suffers mentally and emotionally constantly, which all too often affects their physical health. Blessings, Love and Light to Everyone! Thank you for all you are doing & Your family too. I am the caregiver for my husband Terry, who is 78 yrs old & was diagnosed with Alz. 8 yrs. ago. I am just thanking the Lord that he is still able to drive & take care of himself. I know it is because of the good Lord & the prayers of my faithful Christian friends & Pastor. Alsp because of Terry's strong faith. All our love & prayers go with you & your family. My Dad passed away 2 yrs ago and had dementia which made his health even worse for he forgot to take meds, would ofton go to the atm 3 times a day forgetting he had gone, was ripped off by the car repair shop in town. Its a terrible disease to watch someone you admired and loved slowly go away. Dad loved to listen to Glen Campbell, they are about the same age and Dad was from Arkansas like Glen. Good to see Glen doing well and getting support. Hope it raises awareness and research. Also Glen will never forget you Starring with John Wayne in True Grit. People forget he starred with John Wayne. I live with my Mom with Altzheimers 24/7 and the music does help! Bless you for what you are doing! Alzheimers is reversible, but it is difficult. The earlier you start the better. Read Dr. Sherry Rogers books and other environmental doctors. My mom has it and we are helping her with many brain nutrients. Information is power. Get informed. Unfortunately conventional medicine is not much help. Drugs only help a year or so. Thank you so much for what you are doing. My husband of 38 yrs. passed away last October at the age of 58. We struggled with the disease for six yrs. Music was therapy for both of us. My heart goes out to you and your family. Hats off to Glen Campbell and family for his & their courage in making their personal struggle with ALZ public. Mr. Campbell should continue to make music for as long as it continues to make him happy! 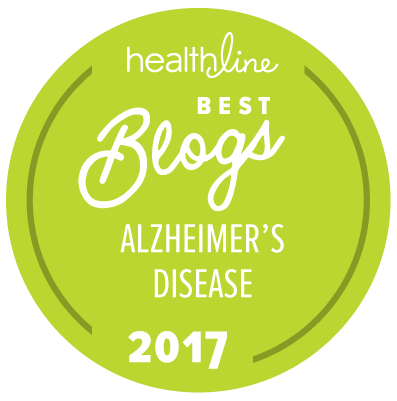 To Donna Oates (and others who may believe in similar fairy tales): Alzheimer disease is NOT reversible – please stop deluding yourself and your family, but especially others who struggle with Alzheimer disease, that anyone currently has the "magic treatment" for it! I am NOT a physician nor do I work for a drug company, but I do know how good science is conducted. If these "brain nutrients" really were sufficient to reverse the effects of Alzheimer disease, and their "discoverers" were truly interested in helping people affected by Alzheimer disease, why not publish such incredible results in reputable journals where their findings can be reviewed for their scientific merit and replicated by other researchers? The simple answer is because the results CAN'T be replicated by researchers who have no affiliation with the people making these claims. Anyone can make whatever claims he or she wish to make in books, because books aren't normally reviewed prior to publication by other doctors or scientists. Anyone in health care who stands to make money by claiming proprietary knowledge of a special treatment or cure, who guarantees results, and/or who won't publish his or her results in creditable journals should be suspect. My mother is permanently is a nursing home going through the final stages of Alzheimers disease. I have a full time job as a teacher which is stressful in and of itself plus the primary caretaker for my mother. My so called days off are not a vacation. My life consists of ambulances, emergency rooms. hospitals, intensive care, going back and forth to the nursing home, phone calls to the nursing home, having to clean out my mother's apt. on weekends and then closing it down with the management, storage, having to buy other tops for my mother so that procedures can be done, as well as other clothes, dealing with with forgotten bills, my own health problems and my weight gain of 30 pounds over the last 3 years. Trying to eat right is nearly impossible when I'm always on the move. I communicate with family and friends via e-mail because I have zero time to talk to anyone over the phone. I could mention a whole lot more but I'm doing the best that I can. Glen Campbell is very underrated singer of all all time. Why I Signed the Petition for a Strong National Alzheimer’s Plan I Am Taking Action Because Those Affected by Alzheimer’s Can’t Wait!